The final touch of any wedding day look—and one detail that should not be overlooked—is the jewelry. While the engagement ring is sure to be the showstopper, other jewelry pieces help to bring the whole look together. Depending on the cut and style of your wedding dress and how you choose to wear your hair, different statement jewelry pieces work to highlight certain details and complement your overall bridal style. Finding wedding day bling that will enhance your wedding dress rather than compete with it requires curating the right pieces that add the right amount of sparkle and allure. To help us navigate wedding jewelry for brides, we had Nicole Wegman of Ring Concierge, a private jeweler by appointment in New York City, give her tips and selections. In addition to distinctive and custom-designed engagement rings, Ring Concierge has a striking collection of beautiful bridal jewelry to wear on the big day. Keep scrolling to read Nicole Wegman's tips for choosing wedding jewelry for brides and to shop some of her favorites. If you're not sticking to pearl or diamond studs, go big with statement earrings. "Rule of thumb is either statement earrings or a statement necklace," advises Wegman. "Wearing both will look too busy." 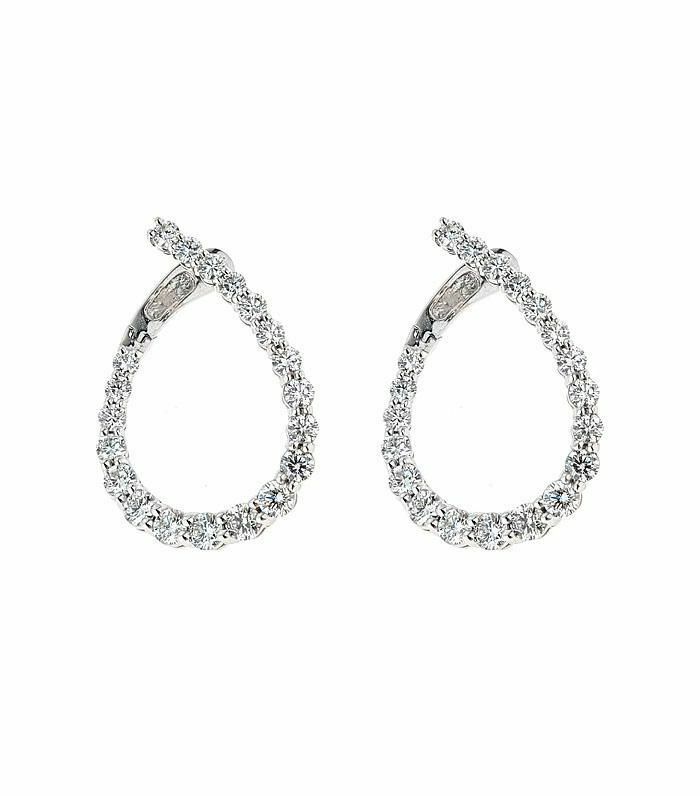 If you go with understated earrings, you can play up your décolletage with some added sparkle. A statement necklace looks gorgeous with a strapless dress or low neckline. "Since most wedding dresses are sleeveless, it's the perfect opportunity to create the ultimate bracelet stack for an ultra-glam look," encourages Wegman. If you're looking to follow tradition by incorporating a touch of blue into your wedding day look, why not do it with some gorgeous jewels? "Add something blue with sapphires," suggests Wegman. Pearls are a classic choice for wedding day jewelry, but Wegman likes to see pieces that go beyond the expected. "Brides love wearing pearls, but it can often feel too traditional," notes Wegman. "So we help them find pieces with a twist so they are modern and fresh." Now complete your look with wedding accessories you'll actually want to wear again.